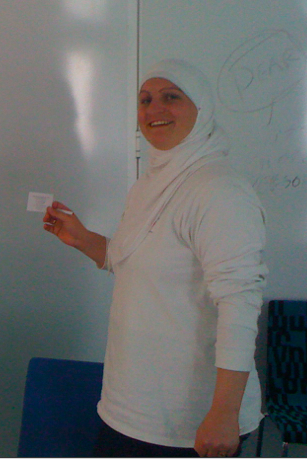 Nehad Makhadmeh is presenting her final PhD seminar to her colleagues in UCRISE at the University of Canberra today. Her presentation will report on her four-year journey as a student in Canberra and Jordan at a time of tumultuous change in her home city of Al ramtha. It is a story that shares her experiences of hot days in three Al ramtha schools and cold winter nights as a volunteer coach in Gungahlin, Canberra. There is a copy of here presentation here. 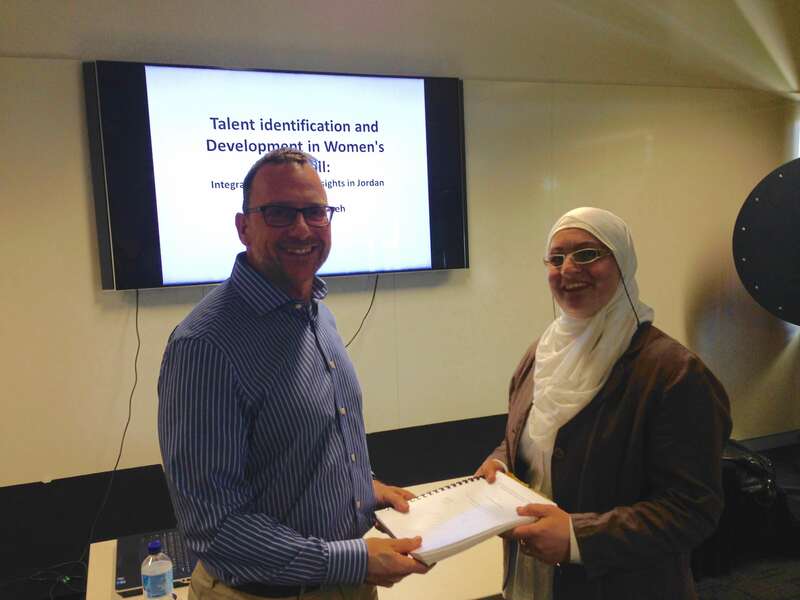 Nehad is in the process of responding to the excellent advice given to her by her three external examiners. Nehad and her family are returning to Al ramtha in November. Her home is a short distance from the Syrian border. During her research for her PhD, her city’s population has trebled through the influx of refugees. Nehad’s family, and her husband, Khaled’s family have opened their homes to refugee families and there are now five families living together. Nehad and Professor Kevin Thompson, UCRISE.